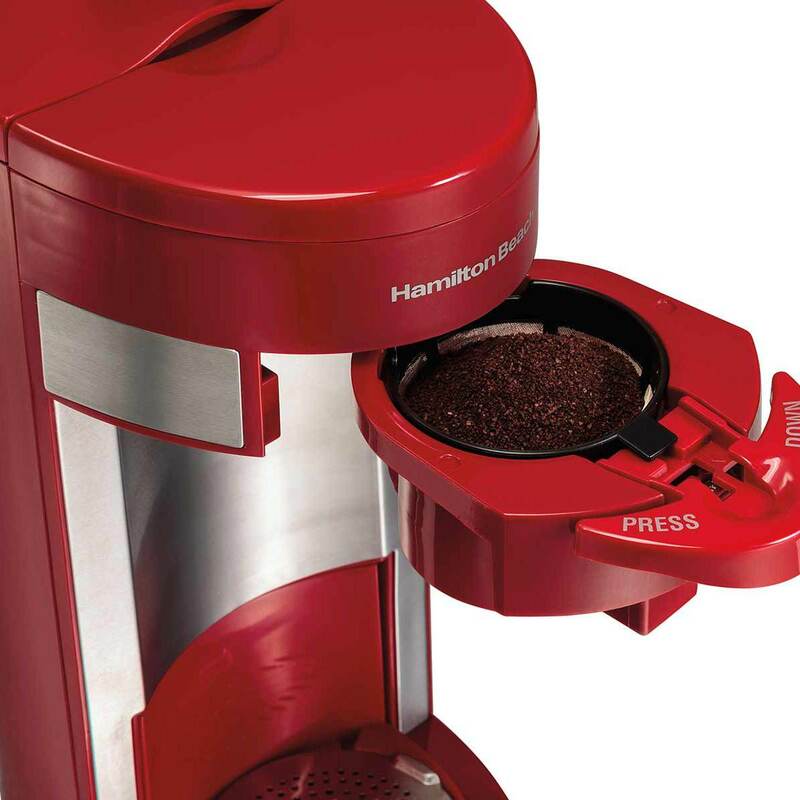 For some java drinkers, pouring fresh-ground coffee into their coffeemaker is the perfect start to their day. For other coffee lovers, being able to quickly insert a pre-packaged, single portion pack into their coffeemaker and enjoy a piping hot cup in a few minutes is a match made in heaven. The FlexBrew® Single-Serve Coffeemaker offers the added convenience factor of a pack holder, which allows quick instant brewing in less time than an in-store café experience. 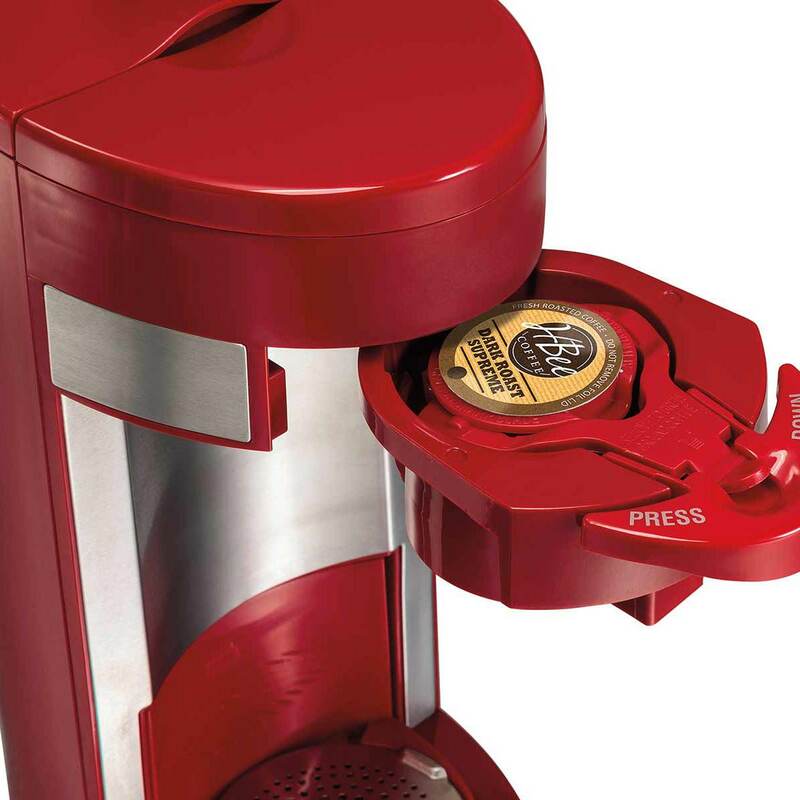 Simply insert the single-serve pack and push the lever down – that’s it. Pre-packaged coffee isn’t for everyone or every palate. The FlexBrew® Single-Serve Coffeemaker caters to coffee aficionados by featuring a steel mesh scoop filter that holds a variety of fresh-tasting ground coffee. 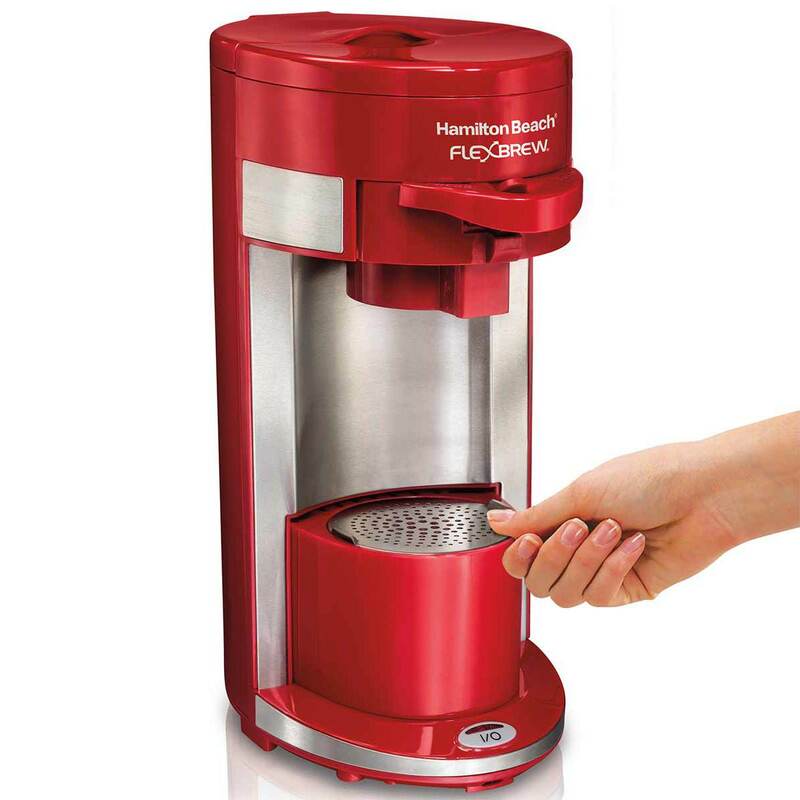 You can grind your own coffee beans to the medium-grind setting or save time and purchase pre-ground coffee. Brands such as Folgers, Maxwell House, Dunkin’ Donuts, and Starbucks are recommended because they are medium-grind coffees. Note: Coffee that is ground too finely will cause an overflow. If you are unsure about the coarseness of your coffee, check with your coffee manufacturer. Not a coffee drinker or prefer other varieties of hot beverages? The FlexBrew® Single-Serve Coffeemaker, unlike home-brewers that solely brew their own type of coffee, allows for a variety of tea pods, including herbal, chai, white, green, black and flavorful blends. Not sure how much coffee grinds to add when brewing your next cup? No worries, the unit comes equipped with a brew basket, marked with a 2- tablespoon MAX line for exact measuring, so there’s no overspilling. For busier schedules, use the single-serve pack holder, which is already portioned for single servings. Did you know that 86% of coffee drinkers still brew most of their java at home? With more and more Americans picking up the coffee habit, staying awake longer, and cutting back to save money, coffeemakers are now being designed to be more feasible and economical for the home budget and lifestyle. 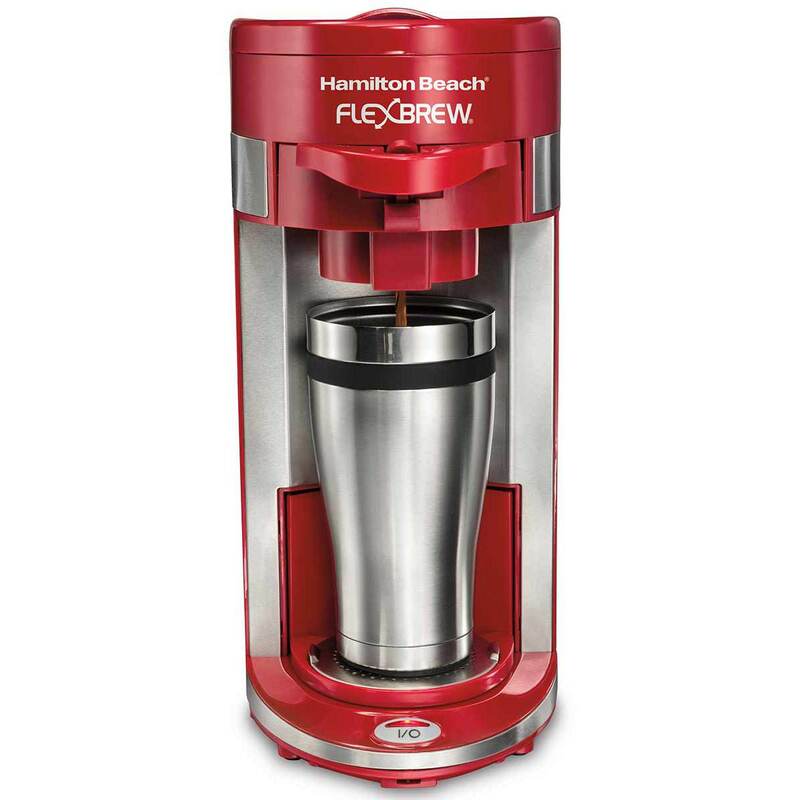 The FlexBrew® Single-Serve Coffeemaker performs best with medium-grind coffee; coffee that is too finely ground may affect the extraction time or filtering process. Keep ground coffee below MAX fill line and do not use more than 10 ounces (296 ml) of water. 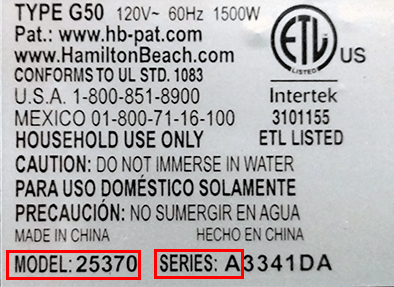 When using the single-serve pack holder, press down on the edge of the pack until the pack clicks into place and the hole is punched in the bottom – do not remove foil. Allow two minutes to cool in-between brews. The brew basket and single-serve pack holder should be rinsed after every use. Removable parts, such as the single-serve pack holder, Handle and Lock, drip tray, cup rest and basket itself, are all dishwasher safe. For trouble-free maintenance, the FlexBrew® Single-Serve Coffeemaker should be cleaned internally once a month, by pouring ½ cup plain white vinegar and ½ cup cold water into the water reservoir, brewing and then running 2-3 cycles of cold tap water before making the next round of coffee. *K-Cup® pack is a registered trademark of Keurig Green Mountain, Inc.
For all the adventurous coffee drinkers out there, there's finally a coffee-brewing machine that can satisfy the tastebuds in two different ways. The FlexBrew® Single-Serve Coffeemaker allows the flexibility of brewing freshly ground coffee one minute or a single-serve pack the next. With its revolutionary method of brewing, the FlexBrew® Single-Serve Coffeemaker is the ideal solution for coffee drinkers who value flexibility in their morning routine. 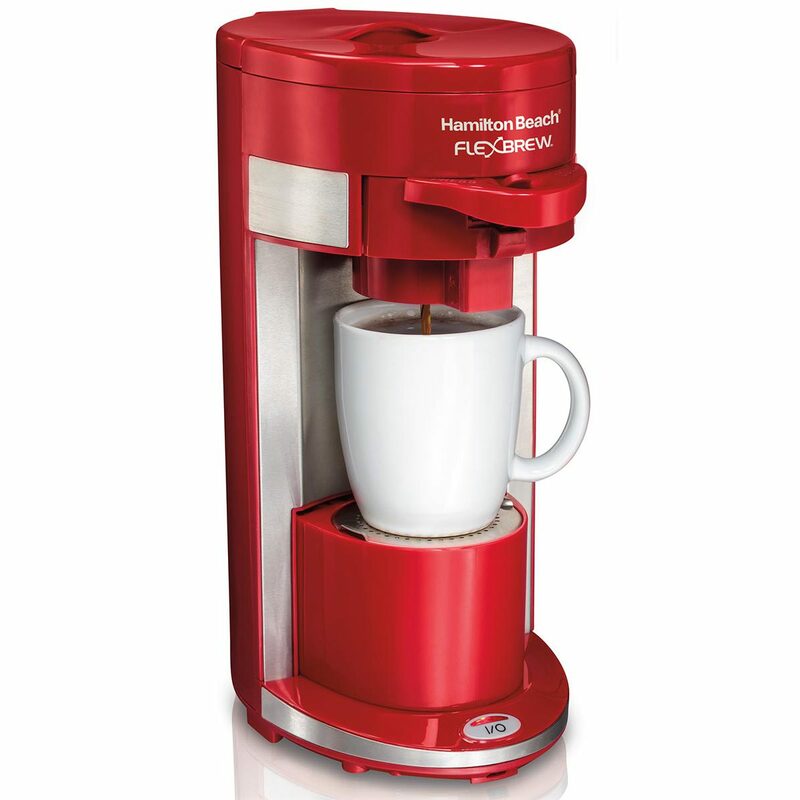 A new favorite among coffee enthusiasts for its convenience and user-friendly features, the FlexBrew® Single-Serve Coffeemaker makes fresh-ground coffee for pennies and boasts a major advantage over other single-serve brewers: a removable single-serve pack holder to allow for pre-measured and pre-packaged coffee.